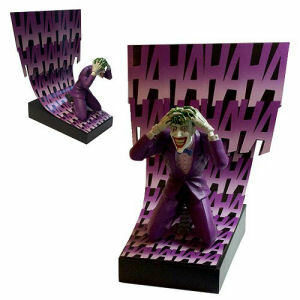 We have Just Sold out of Batman Birth of the Joker Premium Motion Statue. Not to Worry! Fill in the Notify me When Available and you will be the first in line for our restock of Batman Birth of the Joker Premium Motion Statue !! From the Batman collection by Factory Entertainment. Batman Birth of the Joker Premium Motion Statue. Top of statue jiggles from the slightest touch. Each statue is individually numbered and includes a certificate of authenticity. Measures 8 inches tall. Factory Entertainment Batman Figurines shipping from Canada. No Surprise Border fees or Customs!